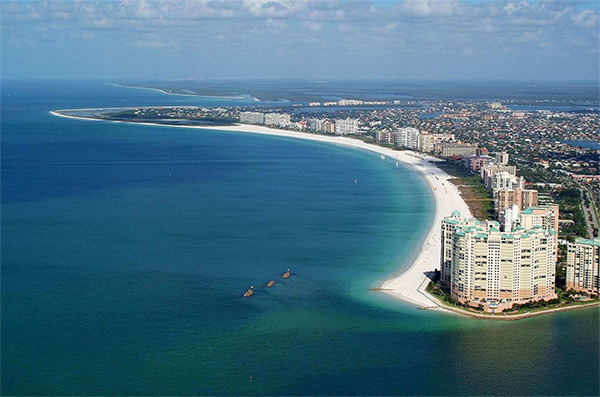 That’s beautiful, sunny Marco Island, Florida. Owners of these beachfront properties are collecting rental income as high as $8,000 to $12,000 a month. They’re STILL raking in anywhere from $4,000 to $8,000 a month. Talk about a potent moneymaker! Do you think that you could live a plush retirement with that kind of monthly cash flow? Do you think you’d ever have to worry about running out of money in retirement? In fact, you don’t have to own a single piece of property at all! It’s a whole lot easier than any of those things. And it’s FAR more lucrative. In fact, you can become a “passive landlord” from your home office, doing nothing more than following a few simple instructions and making just a few clicks with your mouse. Like Mark L., a 49-year-old in North Dakota, who got $5,912 deposited directly into his account, every month, for the past 12 months. Or Sharon M., a 57-year-old from Austin, Texas, who's already banked $16,281 thanks to this incredible "passive landlord" opportunity. Or Craig H., a 63-year-old from New Mexico, who collected a $2,902 payout last month on the 21st, and will receive another one on the 21st of this month. 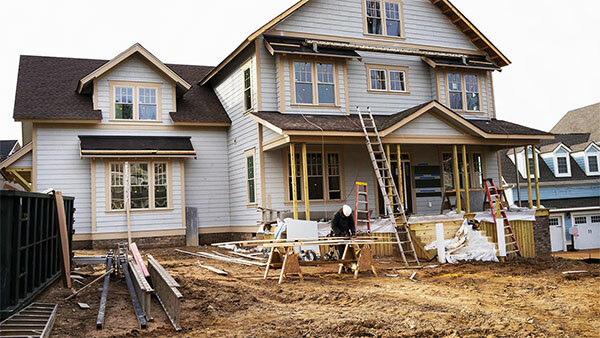 You’re obligated to receive this monthly real estate cash flow — by LAW. It doesn’t matter if there is a recession or a depression... you still get PAID! In fact, this law has been making everyday folks thousands of dollars richer — EVERY MONTH — for the past 59 years. And I’ll explain more about this law to you in a moment. This is perfect for retirees looking to add a robust income stream to their retirement! Because it could give you the worry-free retirement you deserve. One where you’ll never have to fret about running out of money. And Ray is far from alone, too. There are several examples of folks who have banked anywhere from $135 up to $8,670 a month from real estate. Just take Mary Kingsford in Vermont. She received a check of $1,638 just last month. 57-year-old Jerry Stevens from Arizona got payments of $5,969 a month last year. I’ve even shared this secret with a coworker of mine. And he’s been using it to collect rent checks worth $2,980 every single month. Not a bad “passive income” stream if you ask me. These folks are raking in real money with this secret each and every month, like clockwork, and without breaking a sweat. That’s because being what I call a “passive landlord” is NOT a second job. Because as I said before, you don’t have to own a single piece of property. And you don’t have to deal with crazy tenants... repairs... or any of the traditional hassles that come with owning and managing property. "Flipping" houses is hard work. But this secret I'll share with you is the easiest way I know to make money from real estate — and secure a lasting retirement income. That’s because you’ll be collecting checks every month — without any interruption. Remember, once you get set up, you’re legally obligated to receive these monthly checks! And no matter who’s in the White House. If you want to supplement your Social Security, boost your nest egg, and secure a reliable stream of cash flow in your retirement, then this secret is the key. It’s super simple. And it requires very little effort on your part. So just what exactly is the little-known law that makes all of this possible? And why isn’t everyone doing this? The opportunity to become a “passive landlord” is NOT something new. It was actually made available in the United States in 1960. 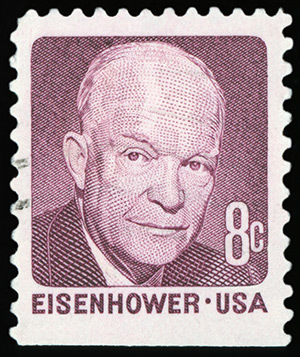 That’s when President Dwight D. Eisenhower signed a weird-sounding bill into law. It’s called The Cigar Excise Tax Act. But what most people don’t know is that buried in that Act was another law... one that had absolutely nothing to do with taxes on cigars. Instead, it allowed certain firms to reap massive tax benefits to build and develop property around the nation. And they added in a loophole that owners of these properties MUST pay a portion of the rent they collect from tenants to regular folks like you and me. So how much of their rental income are they obligated to fork out? That’s right... these property owners must shell out 90% of their rental income to everyday folks like you and me. And they have to pay it to you EVERY single month! You MUST be Paid — No Matter What! In short, you can now receive rental income from this unique group of properties... without actually having to own any of the property yourself. That’s why you don’t have to be rich to do this. Anyone can now “register” to be a “passive landlord” in these properties throughout America. In fact, you can get started with as little as $50 and start collecting guaranteed rental income month after month. A lot of folks simply don’t know that this loophole in the real estate market exists. You don’t need to sign any legal documents to do this. You don’t need to attend any meetings. You don’t need to meet any of the tenants. You don’t need to visit any of the properties. I’ll show you the three very best ones that can pay you rich, growing streams of guaranteed monthly income for as long as you choose. I’ve already showed you how some savvy folks have seen rent checks as high as $8,670 a month. Today, you, too, can collect this kind of lifelong income... simply by signing up to be a “passive landlord” in some of America’s most profitable real estate. The extra money could be piling up in your bank account month after month. Hands down, this is the single best way to pocket income from real estate in America. Heck, it’s the single best way to pocket secure, retirement income. PERIOD. I’ve made an absolute killing from real estate thanks to this secret... And I didn’t have to buy a single piece of property to do it! Hi. My name is Brit Ryle. And I don’t “flip” houses. I don’t have a real estate license. And I’ve never worked in the real estate business. I’m an expert at uncovering little-known and incredibly lucrative opportunities. These opportunities are ones that the mainstream doesn’t know about but also let you collect thousands of dollars in extra income every single month. And I’m not bragging when I say I have an extremely good track record of doing just that. I uncovered this opportunity back in 2015. It’s a way that folks like you can get paid every time Netflix “rents out” one of its movies through its streaming platform. Jerry M., who’s collected $153,406. Robert W., who’s enjoyed $287,751. And Thomas T., who’s received $265,213. In fact, many of my readers have even received a $31,500 bonus payout, too! It’s a virtually unknown way to collect HUGE payouts from some of the biggest, most profitable companies in America. Not only have these payouts increased 14 times since I first reported on them, but my subscribers have also even picked up a $360 bonus payout from it, as well! James G. has collected $406,282. Michael M. has seen $287,196. And Kathleen A. has received $205,140 so far! That’s only some of the opportunities that I’ve blown the lid off of in the past few years. And they’ve all made my readers life-changing gains. And yet, this real estate cash flow secret blows every other stream away. I’ve made an absolute killing from America’s most lucrative real estate thanks to this “shortcut.” And you can, too. I didn’t have to buy a single piece of property, or deal with any tenants, or rent out a spare bedroom in my house. I simply took advantage of the opportunity to be a “passive landlord” in some of America’s best-paying properties. It’s a real estate loophole that’s been enriching everyday Americans every single month for the past 59 years! So isn’t it about time that you got your share of it? Look, the simple fact is that EVERYONE needs space — for any business of any kind. It doesn’t matter the industry, it doesn’t matter the location. For as long as you choose to. Essentially forever. You must be paid every month — no matter what! Once you’re set up, you won’t need to do anything again. There’s 167 property managers that are legally obligated to pay YOU — RIGHT NOW! It only takes a few minutes to “register.” And there’s no paperwork. All you need to do is follow the simple steps I’ll outline. And you’ll be able to join the handful of people who are collecting tens — and even hundreds — of thousands of dollars. Without any of the frustrations, headaches, and hassles! Right now, there are 167 of these property managers in America who are legally obligated to send you a slice of their monthly rental income. 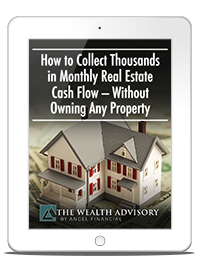 "How to Collect Thousands in Monthly Real Estate Cash Flow — Without Owning Any Property." And it can be yours absolutely FREE. This firm has 5,694 commercial real estate properties in its portfolio. It rents its space to businesses in over 48 different industries. With exposure to such a wide swath of industries, they are sheltered from any downturn in the economy. And they generate steady, growing cash flows no matter what. They’ve made 581 consecutive monthly payouts to “passive landlords” — everyday folks like you and me. And they’ve increased the size of the payout a stunning 98 times! All told, it’s doled out an incredible $4.9 billion in retirement cash... and you, too, could collect these growing checks each and every month starting now. These types of properties require far less maintenance and upkeep than some glitzy hotel or office building does. That means they can bank more of the rental income they collect from their tenants... which gets distributed every month to “passive landlords” like you and me. They are aggressively expanding their portfolio of commercial properties. 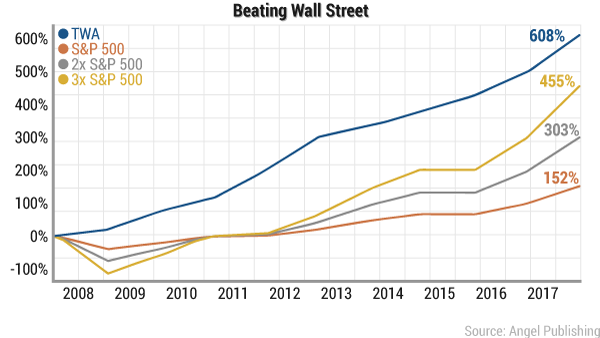 In fact, their portfolio has grown a whopping 369% in the past eight years. That’s why I’m recommending that you become a “passive landlord” in this firm today. The income potential is absolutely HUGE. This firm doesn’t specialize in retail shopping space or industrial warehouses. Instead, this firm accumulates a type of land that continues to vanish every single year, and as a result, keeps becoming more and more valuable. I’m talking about farmland in America. This firm currently owns 75 farms, the majority of which are located in California. In fact, California farmland has appreciated in value by 129% in the past 17 years. This makes it some of the best performing real estate in the entire United States! The size of their land package is the equivalent of 47,993 football fields worth of high-value farmland. And it’s specifically used to grow fresh produce, such as fruits, vegetables, and nuts. That’s because this type of farmland is THE most profitable for farmers, and earns the highest rents for landowners. They’ve made 63 consecutive monthly cash distributions to “passive landlords” like you and me. And the size of the monthly payout has risen a whopping 47%. But this is only the beginning. As their portfolio of highly valuable farmland continues to grow, so will the size of your monthly payouts. In short, these are booming sectors of the U.S. real estate market that are cutting rent checks to “passive landlords” each and every month. You stand to collect up to 36 checks in the next year with the information inside this report. At the VERY minimum, I expect that it could hand you $24,000 in extra income over the next year. Naturally, you might expect to pay at least $1,000 for this information. There’s no doubt in my mind that it would be money well spent for any American. In fact, on its own, we’d charge $197 for access to the report. But instead, I’ll give you a FREE copy of “How to Collect Thousands in Monthly Real Estate Cash Flow — Without Owning Any Property,” And you’ll get it as soon as you start a test drive of my The Wealth Advisory newsletter. And in doing so, you could get a “cut” of the rent these property owners receive from their tenants — each and every month. All without having to own a single piece of property! It’s land that’s being used to grow a unique type of crop. But it’s not being used to grow nuts, fruit, or vegetables. Yes, I’m talking about marijuana. Thanks to legalization in over 33 states and counting, the marijuana industry is booming. Legal marijuana sales have already topped $7 billion a year, quicker than any other commodity in history. And it’s expected to grow as large as $44 billion a year by 2020, more than 400% of what it is now. In order to meet that demand, growers need more land to produce more crops, distributors need more warehouses, and retailers need more storefronts. The demand for land reached such a fever pitch that the real estate market is seeing a huge windfall. Fact is, real estate is something that every single marijuana grower needs — whether it be medical or recreational. These operations all require massive tracts of land in order to meet their production goals. It provides one thing and one thing only: the land for companies to build their grow facilities and laboratories. It doesn’t grow or sell any marijuana. It isn’t subject to state licensing or federal drug law. It owns more than 600,000 square feet of state-of-the-art production facilities around the country. And every month, it sends a check to every single “passive landlord” for their share of the rental profits. And just like all the firms I told you about earlier, they are legally obligated to pay you as a “passive landlord” every single month. That’s an extra 12 rent checks you’ll receive over the next year. And it only takes five minutes to set it all up! Like your first report, it contains everything you’ll need to know to get set up. And best of all, I’ll give it to you today — absolutely FREE! It's where you'll find the secrets that let you collect thousands of dollars every month. These secrets include Netflix "royalties," "toll-free" retirement millions, and the "back door" into Fortune 500 companies. It's how you'll start making money the easy way — whether it be through dividend-paying stocks, little-known funds, or the real estate cash flow secret. In other words, it's a gold mine of strategies, methods, and simple steps that any American can use to become much, much richer. And since launching it, it's blown every traditional moneymaking strategy out of the water! In fact, if you'd put $5,000 into an S&P 500 Index, like most "experts" would tell you to do, you'd have $12,600 today. 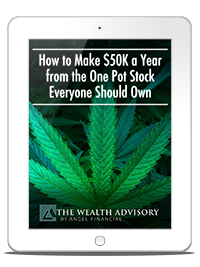 But if you'd taken the same $5,000 and invested in the strategies that I share inside The Wealth Advisory, you'd have a staggering $35,400 right now. 12 comprehensive issues of The Wealth Advisory. Inside each issue, you'll get a deep dive into at least one brand new income opportunity every month. It could be like the secret to real estate cash flow or a dividend-paying stock. But as long as it can give you a reliable, consistent, and lucrative income stream, you'll hear about it. In short, every month, you'll get an intimate look at the opportunities that most investors will never see — sent straight to your inbox! Every special report that we've ever issued. Sometimes, an opportunity is so profitable or time sensitive that I'll commission an urgent special report to give you the full details as soon as possible. One of these reports alone could make you $4,898 richer every single month. And there's already a ton inside The Wealth Advisory for you to profit from. You'll also get full access to every special report that I'll commission over the lifetime of your subscription. Updates every week. When it comes to your money and your retirement, you'll never be left in the dark. That's why you'll hear from me at least weekly but usually every two or three days. The Wealth Advisory's Top 10 most lucrative opportunities. At any time, I have my eye on 35 different income streams that you can use to collect life-changing checks every single month. To make it as easy as possible for you to grow your income, I'll send you a list of the top 10 opportunities for the month ahead. Once you have set them up and have staked your claim on the payouts, you can dive into the other income streams available in The Wealth Advisory. Exceptional customer service team. Bad customer service can ruin your day. That's why we’ve built a world-class customer service team so you'll never feel lost. If you ever have a question about your membership, billing, or anything at all, you can contact them Monday through Friday by phone or email. You'll be given the contact details as soon as you start your test drive. "I decided a little over a year ago to take my financial future into my own hands. For a beginner, I'm doing pretty well thanks to The Wealth Advisory. Brit is my favorite writer. His articles are insightful and his advice [is] almost always spot on!" "Briton... A BIG thank you for the information. Also going to pull my mutual fund investments from a local firm and use your info to start my own "fund." "Since subscribing to your Wealth Advisory letter and following your advice, my 401k has done very well." "Hi Briton, I'm [a] big fan of yours and love reading your detailed info. You are better than [the] best in what you do! I'm sure a lot of people agree." Just one of the income streams inside The Wealth Advisory could guarantee that you'd never have to worry about retirement or your financial security ever again. So, it would be fair to ask for upward of $1,000 as payment today. Even at that price, you'd only be paying $83 per month to access many income streams that pay out much more. It would be a steal. But you won't pay $1,000 today or even anything close to that. Over the next 60 seconds, Amazon will ship 2,083 packages. That's more than 1 billion packages every single year. It's called a “Prime Profit” payout. And until recently, only a small group of the world's elites knew about them. As business magazine Inc. reports: "Billionaires know that there is a market for secret or hidden money..."
And it also includes mega banks and investment firms, like Vanguard, BlackRock, State Street Corporation, JPMorgan Chase, Bank of America, Morgan Stanley, and Deutsche Bank. They're all collecting checks from this legally mandated "tax" on Amazon's profits. And now, for the first time ever, I’ll reveal how everyday Americans can start collecting their own “Prime Profit” payouts. And this has nothing to do with buying shares of Amazon’s stock. Take Edward N. He's worked in construction since the '90s. Today, he lives in Denver and recently collected $257,688 from this secret income stream. Or look at Eugene R. He works for a warehousing company, lives in Boston, and collected $106,242 throughout 2017. That's an extra $8,853 every single month! And there's Lydia K. She used to work at Los Angeles World Airports and now lives in Glendale, California. She received $37,556 last year from the same income stream that you'll be getting an inside look at today. And that's why I've prepared a special report to give you everything you'll need to start profiting from them today. This report is usually $49. But today only, you'll get it completely free by taking a test drive of The Wealth Advisory. The bottom line is, my goal is to help you open as many new income streams as possible. And that's all so you'll have enough money to live the life that you want. Anyone can enroll in the income streams that I've shown you today, starting with the secret to real estate income. “How to Collect Thousands in Monthly Real Estate Cash Flow — Without Owning Any Property,” worth $197. I’ve identified three of the most lucrative properties in America today where you can be a “passive landlord.” Once you’re set up, you won’t need to do anything again. You’re legally obligated to receive a slice of the billions in rental income these property managers collect from their tenants. All you’ll have to do is sit back and watch the money pile up in your account — month after month after month. “How to Make $50K a Year from the One Pot Stock Everyone Should Own,” worth $97. Marijuana is estimated to be a $45 billion-a-year industry. It’s the fastest growing commodity in the world. And the demand for marijuana real estate is hitting a fever pitch. Land is something that every grower needs. I’ve uncovered a firm that owns more than 600,000 square feet of state-of-the-art production facilities around the country that it rents out to marijuana producers. This property management firm will send you a “cut” of the rental income it receives from these marijuana producers — every single month! All you need to do is simply “register” as a “passive landlord.” It takes five minutes to do. 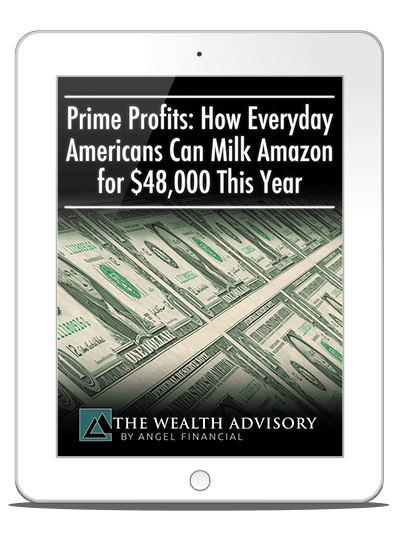 "Prime Profits: How Everyday Americans Can Milk Amazon for $48,000 This Year," worth $97. You'll receive complete details on how to claim your slice of the more than $1.498 billion tax that Amazon is legally obligated to pay. It takes only five minutes to “enroll,” and you'll be set up to receive “Prime Profits” for the rest of your life! Now, that's $391 worth of FREE reports! So, how much will your deposit be for your test drive of The Wealth Advisory today? If you take advantage of every FREE report I'll be sharing with you today, you'll collect an extra $122,400 over the next 12 months. And remember, as these firms' property portfolios grow, your “passive landlord” payouts will, as well. So, you stand to collect more and more money every single year. Many of my subscribers who are already taking advantage of The Wealth Advisory tell me that a $5,000 payment would be a no-brainer. Your “Passive Landlord” payouts would pay you back 21 times within this year alone. You see, a lot of folks out there don’t know about this secret to monthly real estate cash flow. It's the same story for most secret income streams. But my mission with The Wealth Advisory is to open up these little-known payout plans to everyday Americans like you. That's why I keep the price of my work as low as possible. The price of your one-year subscription to The Wealth Advisory is only $99. Once you've taken out your test drive today, you'll have a full six months to use The Wealth Advisory. You'll be able to set up the income streams that I've shown you, read through every special report, and watch the money pile up in your bank account. And at any point within those six months, you can ask for a full refund for what you'll pay today. You won't even need to tell us why. As soon as you ask for a refund, my team will promptly return every cent. And we'll even let you keep every issue and special report that you've downloaded during the trial. You'll either be 100% thrilled with your annual subscription to The Wealth Advisory, or we'll quickly refund your money. You have nothing to risk when you try The Wealth Advisory and open your monthly real estate income stream. Then you won't need to do a thing, and I'll ensure you'll have access to your whole annual subscription without paying a cent more! And again, my team will send you every report you've seen today, including, "How to Collect Thousands in Monthly Real Estate Cash Flow — Without Owning Any Property," as soon as you start your test drive. These “Passive Landlord” Payouts Will Keep Growing Larger Every Year. Will YOU Collect Your Slice? This is as close to free money as you can get. There's no other opportunity quite like it. Thanks to a little-known public law, there are 167 property managers in America who are legally obligated to pay out 90% of the rent money they collect from their tenants to everyday Americans each month. In short, you can become what I’m calling a “passive landlord” in these unique properties. And I’ve identified three of the most lucrative ones in America that will pay you growing streams of monthly income for years and years to come. All you'll need to do is take five minutes to “register,” and you'll be ready to collect your slice of the billions in rental income these property managers pay out to “passive landlords” every single month! The full details are inside your free copy of, "How to Collect Thousands in Monthly Real Estate Cash Flow — Without Owning Any Property." My team will send your reports directly to your inbox as soon as you start your risk-free trial run of The Wealth Advisory for only $99. And you can do this by clicking the "Subscribe Now" button below. Again, that's $391 worth of income secrets for only $99! You could spend $99 on coffee or chocolate over the next year, and you'd be no better off. Or you could spend it on a year's subscription to The Wealth Advisory, and you could then become thousands of dollars richer every month that goes by. You'll think back to this moment and kick yourself if you choose the first option. Start your risk-free test drive of The Wealth Advisory and stake your claim on $24,000 in “passive landlord” payouts this year. And remember, you're covered by my gold-standard, six-month guarantee. If you let us know that you're not thrilled with The Wealth Advisory within your trial period, we'll offer you a no-questions-asked refund. You're risking nothing, but you're on the brink of changing your life with this simple “shortcut” to monthly real estate cash flow. Click the Subscribe Now button below to be taken to our secure order form right now. P.S. Remember, you’ll have a full six months to test drive The Wealth Advisory. And at any time during those six months, you can contact my team and ask for a full refund.